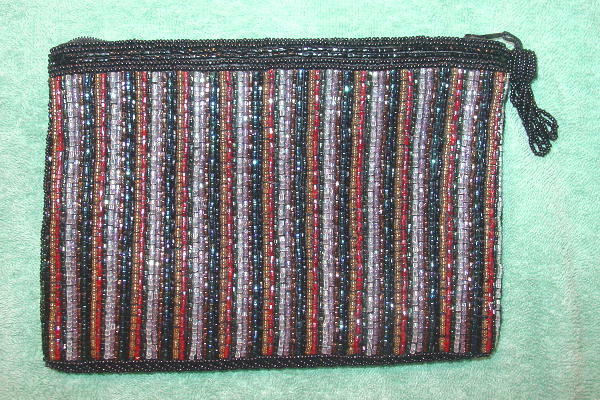 This rectangular beaded evening clutch has a zippered side to side top opening with a black beaded pull. It has several rows of tiny round black beads at the bottom and 4 rows along the top sides with 2 rows of elongated black beads. Each vertical side has 2 rows of tiny black round beads. 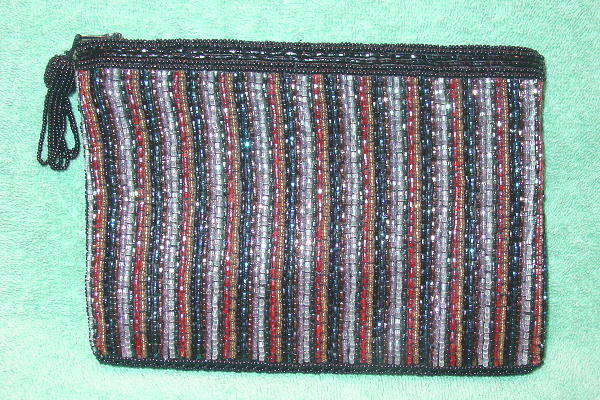 The rest of the purse front and back has vertical rows of beads in iridescent clear, copper, red, gold, black, and iridescent Persian blue. It has a black synthetic lining with an interior open pocket.